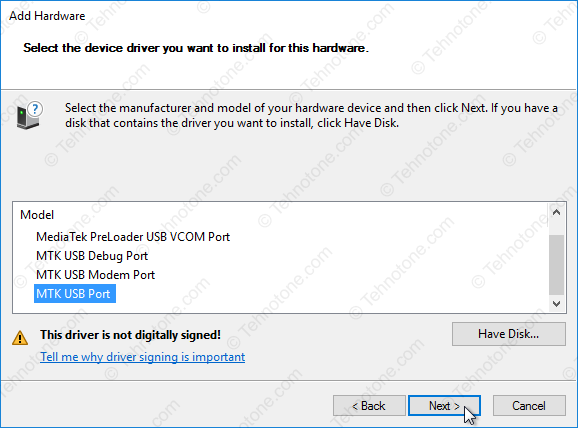 This drivers will make the connection to your MTK device possible form a Windows 10 PC on a 32 or 64 bit configuration. 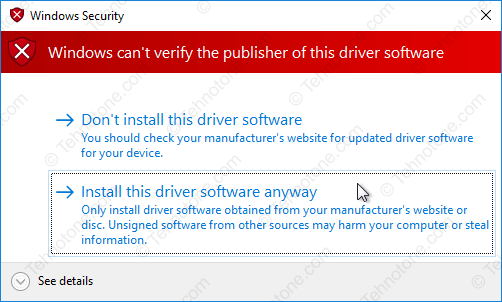 The drivers that you will find on this page are unsigned so if you are running Windows 10 64 bit you are required to temporary disable the driver signature verification enforcement in order to be able to install. Windows 10: 64 bit or 32 bit? How to find out? 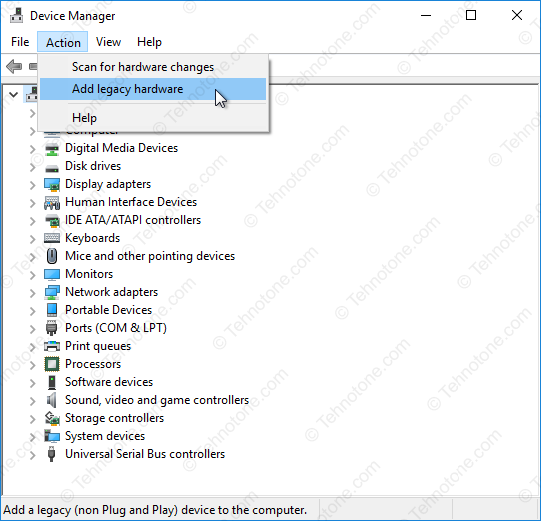 Now, when you will connect your dead (or turned off) MTK device to the Windows 10 computer by USB, the device will be recognized either trough a MediaTek Preloader USB VCOM Port interface or as a MTK USB port if it is bricked or it has bad/corrupt firmware. The SP Flash Tool will be able to transfer the firmware to your device trough this interfaces. Make sure you connect the device after you press the Download button in SP Flash Tool, as the communication interface will only be alive for 2 seconds if no data is being sent. 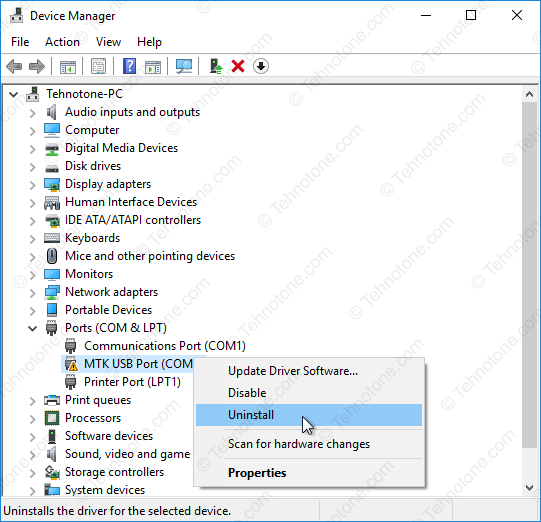 If you have trouble installing a new MTK driver in your system or you see a high or unusual number beside COM Ports displayed in the Device Manager, you might want to clean the USB driver garbage in your system with USBDeview – Download USBDeview download for 32 & 64 bit Windows – learn what it does and how to get rid of unwanted USB drivers and COM Port duplicates. is there is a version for Windows 8.1 ??? thanks bro its work like a charm! i have installed the driver……I was porting redmi note 3 miui to le 1s ….And now my device is bricked…..i have installed all the drivers but still no response from the pc ….device is not detectable…….what to do have tried volume buttons….and almost.. everthing…..plzz…help…plzz..plzzz..plzzz…..PLZZZZ….PLZZ…..
good work you are doing thank bro. hi , i am not seeing the scatter file how can i have or find the scatter file of any phone. I was able to install the driver and flash the phone as described, screen is working except the bottom 2 cm is not responsive. Anyone with same experience and workaround? I am trying to flash my Coolpad dazen 1.But it is not recognized..what should I do? Hi… When i open my firmware package to install the stock rom i get the mtk drivers package… But i when i open the setup file it couldn’t search my device. What should i do? I have tried for hours to fix my Lenovo Tab 2 A10, this is the only article that really helped. For some reason the latest version of the SP Flash Tool wasn’t working and I have performed the update using v5 1628. The firmware I have installed was A10-70F_S000121_151222_ROW. After installing I had to perform an upgrade online. I believe this is a Lituanian version of the firmware and, as I read on the web, it’s way less bloated than the original Chinese one that was originally installed on my tablet. hi, when i flashing redmi note 4 mtk on sp flash tool STUCK ON RED BAR and i have message error: status_protocol_err (0xC0010005), how fix problem for it??? Connect your bricked device to a USB charge outlet adapter for a couple of hours and try again after that. In some cases the device could actually recharge even if the screen will remain blank or show something else than the regular battery charging animation or the screen remains off. Hello! I want to ask, how do I solve the problem. Flashtool has not let on. “Cannot find Checksum.ini file. Please use checksum generate tool to generate The checksum.ini”! Help please. Thank you. 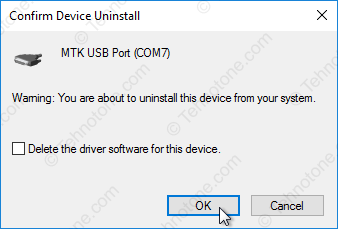 Hi, why I can’t download the MTK USB Port? It says the third party does not contain digital signature information. You will need to temporary disable the driver signature enforcement if you are on a 64 bit version of Windows. Sir , Will I have to restart PC every time using advanced startup and by disabling digital driver signature. Still nothing, device is still not recognized. Hi, Very impressed!! !Thanks a lot.. I have problem. 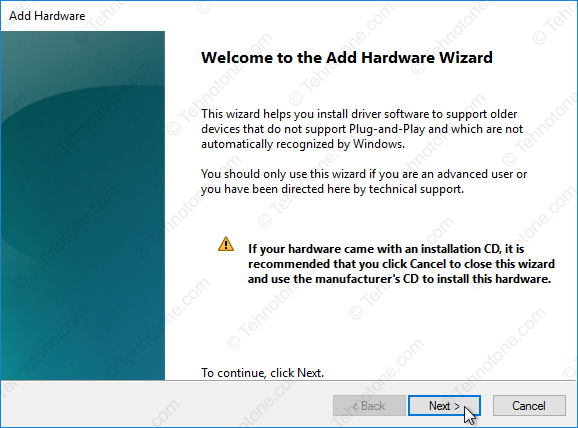 After installing the driver detects an error 10. What should I do to eliminate this problem? Hi, I have the identical problem. 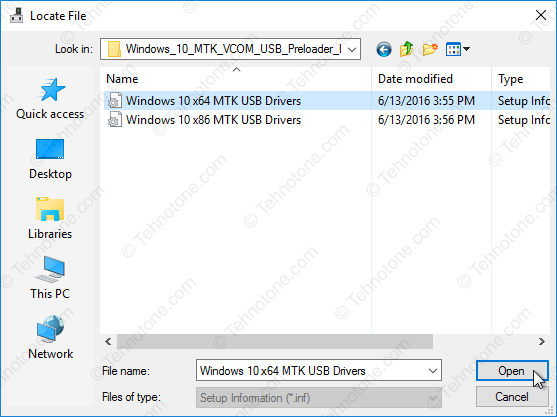 Have tried Windows 10 & Vista PCs and downloaded the MTK drivers from many different sites. Result is the same every time. Drivers load but get error message “DEVICE UNABLE TO START (error code 10)”. Have wasted 2 days of my life Googling this problem but have not found effective answer. Any help appreciated. SOLVED!!!!!!! https://www.youtube.com/watch?v=fUHQzqxxsZI So simple…fixed problem in seconds. Getting the error “Device cannot start ( code 10 ) . also followed the link pasted ” https://www.youtube.com/watch?v=fUHQzqxxsZI” still not able to add the driver. 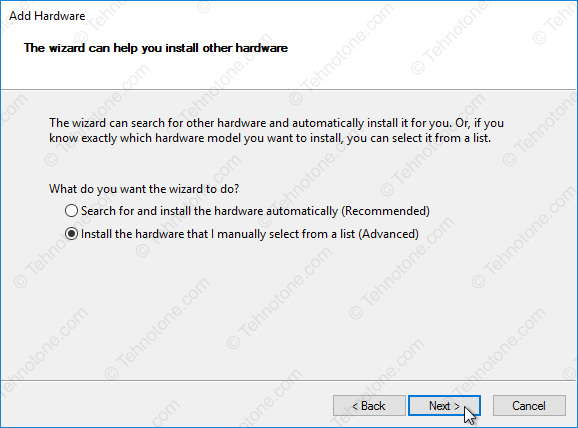 Hi, Windows 10 followed the instructions but unfortunately its still not recognising my device (Alps W63). 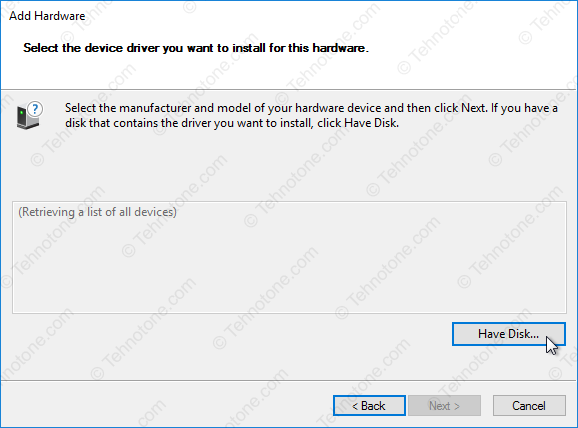 Is there anoother way to install drivers? Hello whenever i try to flash my Alcatel One Touch Fierce i get authentication error 5000. It is a secure band base chip. What should i do. My phone is bricked. I also have followed the instructions carefully, but when I plug in the A to A USB and connect it to the Fire TV… nothing. Nada. Any hints? Thanks. Hi! 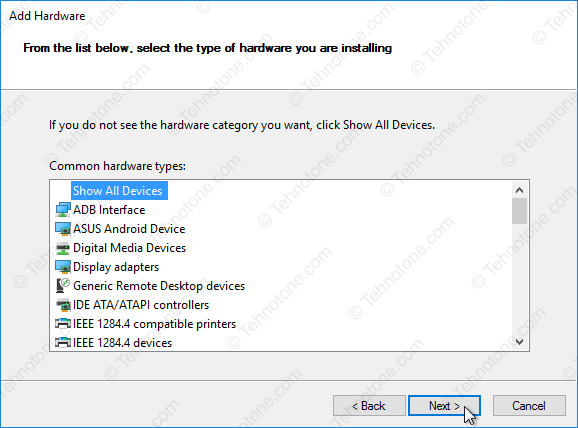 followed step by step the instructions but it simply doesn’t work.. windows 10 computer continue in not reconizing the device and if I try to install drivers selecting the android phone as device, windows say that the driver is not compatible with the device and with 64 bit system…. I’m trying to rescue some deleted photos an vids on my Ulefone Power.. Hi..When i install all according to your instruction, what i got is a device descriptor request failed..is there anything to alter or fix it..i already frustate to flash recovery and using custom firmware on my Umi Super..been 3 days sice i bought it..thx before.. I was getting the same error of firmware for spflashtool. What version do i have to download? HOLA, MI NOMBRE ES JOSE LUIS, UNA PREGUNTA, HE SEGUIDO PASO A PASO EL TUTORIAL, PERO TENGO UNA DUDA, SÓLO DEBO SELECCIONAR MTK USB PORT?. LO QUE SUCEDE ES QUE COMO ESTÁ EN INGLÉS, TUVE QUE TRADUCIRLO Y NO SÉ SI ENTENDÍ MAL. EL PASO ES SÓLO INSTALAR EL MTK USB PORT PORQUE INSTALAÁ LOS DEMÁS CONTROLADORES O SE REFIERE A QUE DEBO REPETIR DICHO PASO CON LOS DEMÁS DE LA LISTA? AGRADECERÍA SI ME PUDIERAN AYUDAR CON ÉSO POR FAVOR. Hi, I have a LETV X620 brikeado and try flashtool after a flashtool rom for the X620 I get stick a preloader, but try to stick my recovery ora rom tells me error: type mismatch status imghdr sec. What does this mean? something I did not do well? Hi, I did everything as instructions says, the only problem is with the connection via USB cable to PC. PC can not see the ULEFONE POWER as a part of the PC devices. Please any advice is welcome to solve the problem. Athanasios, Greece. Hi I have a bricked Jiayu s3w (on start freezes at Jiayu logo start screen – will not turn off except by battery removal). I have gone through all steps above (the device simply does not register connectability at any point. I have a second Jiayu S3 that registers and connects as usual. I have tried win 7 and win10. I have tried both latest Flashtool V3 and latest V5 with official jaiyu s3w rom and Extreme 2.0S3 scatter files. No communication with device. Device is switched off (ie battery out). No communication. Can you perhaps suggest something? Hello, I followed the instructions to the letter, but I will stop to flash tool, where I find the scatter file? u can find scatter file when u download a complete rom..not the update file..it’s inside the zip file.. I have done everything but yet I can unlock my mtk phones. I installed VCOM,USB PORT and MTK USB and the necessary stuff but yet I can’t unlock/ flash cause the my miracle cracked tool can’t see or read the device/phone. Any solution? Hello, I start the flash programe , it always give the same message “Warning: Maybe error as follows: (1)COM ports number repetitive or invalid (2)Brom and preloader have the same comport number! Please modify them in INI file or scan again” I have all comport free, nothing connected. Any solution? Its a Ulefone Vienna. I’m trying to flash the uLefone uWear but I don’t have the required scatter file (for sp flash tool on windows 10). Does anybody know where to get it? Hello, I have followed your instruction and everithing went well but now when I start the flash programme version it always give the same message “Warning: Maybe error as follows: (1)COM ports number repetitive or invalid (2)Brom and preloader have the same comport number! Please modify them in INI file or scan again” I have all comport free, nothing connected. Any solution? Its a Ulefone Future. did you get answer from Tehnotone about your problem? I have the same problem and can’t solve it still.. I guess this is something wrong with the tool. What do you think ? hi!!! !, i install driver ok, but i have a leeco le2 hard bricked in preloader mode, my problem is when i conect the phone the sp flash tool say me “STATUS_BRUM_CMD_STARTCMD_FILE (0XC0060001). and the process finally. can you hel me? This is a firmware-related error. Try with a different version of SP Flash Tool (older/newer) or with a different firmware package. Hi!! Very thanks and best tuto!! But i have a two problem. WHERE DID YOU GET THE AUTH FILE? hi… i did all the steps but it still doesn’t recognize my device, what should i do? did you get answer from Tehnotone about your problem? I have the same problem and can’t solve it still.. I guess this is something wrong with the tool. I have the same as you. Hi, followed your instruction and everithing went well but now when I start the flash programme version v.1.352.00 I get always the same message “Warning: Maybe error as follows: (1)COM ports number repetitive or invalid (2)Brom and preloader have the same comport number! Please modify them in INI file or scan again” What does it mean? I have all comport free, nothing connected. How can I modify the INI file or scan again? Any solution? My Ulefone Future need to be upgraded but no way to do it. It gives me an error. “The third party INF does not contain digital signature information. ” . What should I do? This is normal. You need to press Download button on SP Flash Tool BEFORE you connect your device. SP Flash Tool will start delivering the files after one second. If you did not press Download there is nothing to deliver. In this case after 3 seconds the phone will get bored waiting and it will disconnect then try to boot as usual. I got an issue i im trying to flasing the Ulefone Future. I installed the MKT Usb port drivers with no issue. But when i open the Flash tool v. 3.1552 and click on scan and put my phone into the usb. 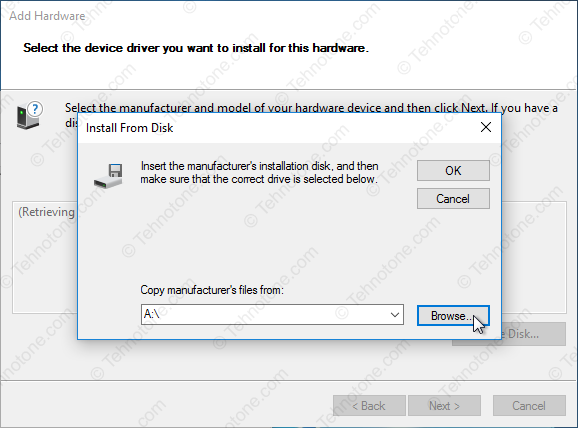 This error is normal when installing legacy driver software and the device is not connected to the PC at install. Hi…thanks for the tutorial…..I already have installed the drivers and I flashed a TWRP…successfuly….but I have a doubt…. The drivers still in windows after install It….or when I turn off my pc and turn on a few days ago the drivers has been uninstalled …? To fix this problem, reconnect this hardware device to the computer. What can I do. why my computer when i chose MTK USB port doesn’t install all the three driver but just MTK USB port (COM7)? Normally all the drivers will be installed if you select either of them from the list at install, as the import in the operating system is being made at *.inf file level, so the files you download from above on this page contain all those drivers as a pack anyways. Just follow the tutorial and you will have all those device drivers in your system. They will activate automatically if proper device is being detected/in use. I am trying to flash ulefone power with marsmallow and followed your instruction from start to the end but when loading scatter file i get an error. cant flash my phone. error says to check if the file is legal. any suggestions? Most likely the file you are trying to flash is incompatible with your device. You might Download a previous version of SP Flash Tool like V3.1334 and try again. Hey! you have to disable windows signature enforcement every time (every time PC restarts). Tip: to avoid this you could use Sleep instead of Shut Down. 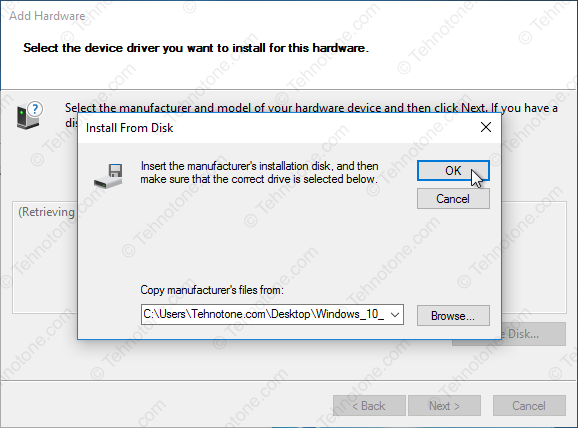 Hey Buddy am installing sp tool and mtk drivers for the first time i want to ask you the part where you say now we have to uninstall the device we have installed i have not installed any device so do i need to follow the step or can you elaborate the need for this step…. Hi! 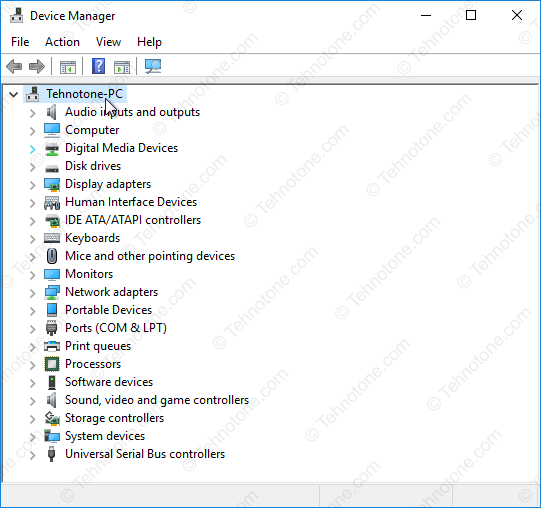 If you were to let the device you install installed it wold be just a useless device in your Device Manager. What you actually need is the device drivers to be present in your system so that when you connect the real device to your computer it will use those drivers. That is why I said to let the box unchecked so the fake device is removed but the drivers are being left in the system, ready to kick in when you connect your device to your computer in download mode.